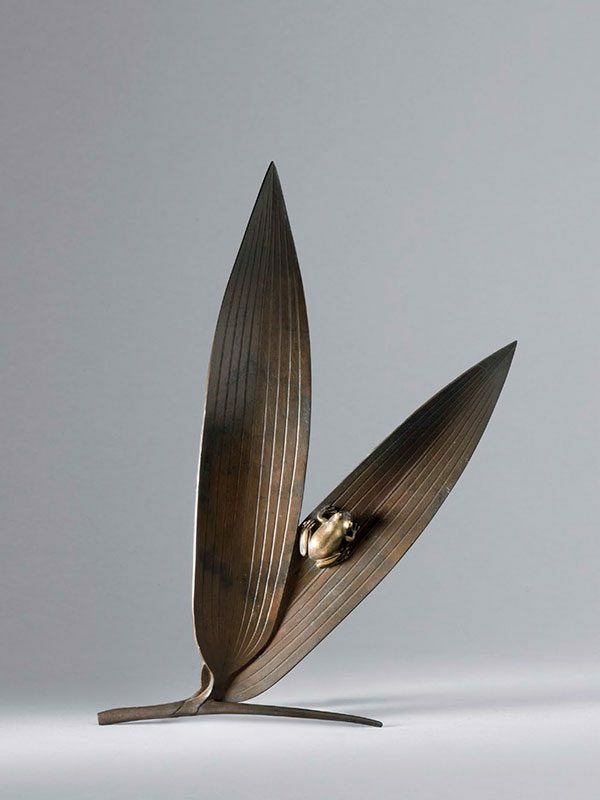 A bronze okimono in the shape of two bamboo leaves on a stalk. On one of the leaves a frog in silver is perched, the eyes inlaid in gold. The okimono is contained within the original wood tomobako.